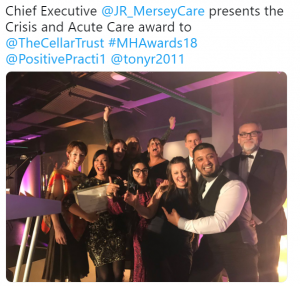 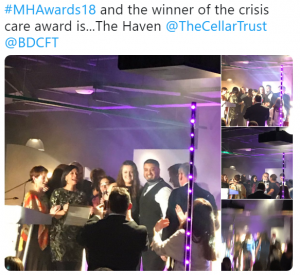 It’s been a week of celebrations here at The Cellar Trust because our crisis support service, Haven, took home gold in the crisis and acute care category at The National Positive Practice in Mental Health Awards last Thursday! 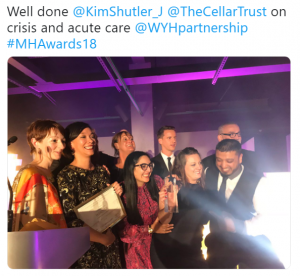 The Awards celebrate the achievements and contributions of services across the country, and we’re delighted to have been chosen as the winners in our category. 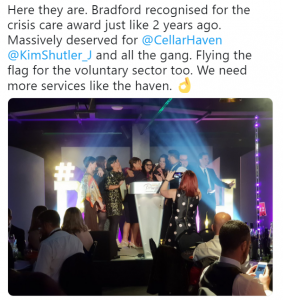 We are thrilled that a local charity like ours has received this recognition and we are so grateful to Bradford District Care NHS Foundation Trust and Bradford Metropolitan District Council for their support. 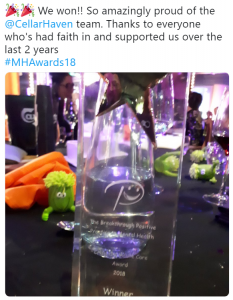 We would also like to thank Lloyds Bank Foundation and the Garfield Weston Foundation who have provided core support enabling us to embed new services such as Haven. 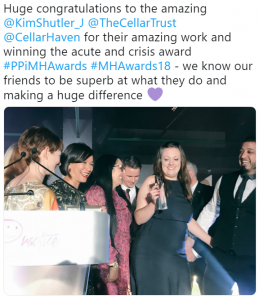 It’s been brilliant reading through your lovely emails, social media posts and comments about our award win – thank you for your support and well wishes! 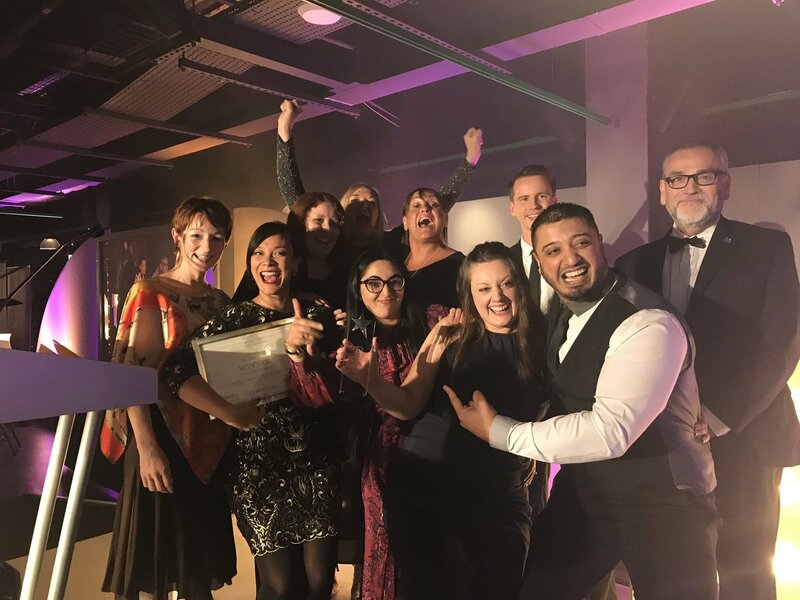 ← Our Christmas lunches are back for 2018!